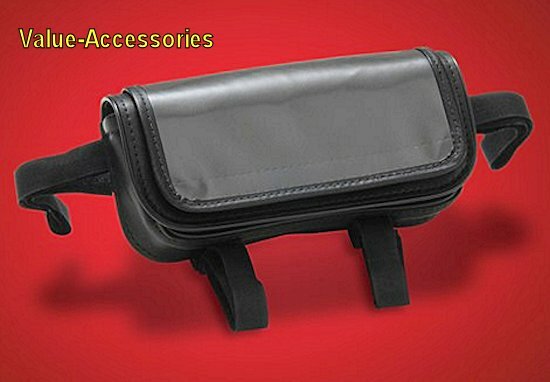 The Hopnel Universal Handlebar Pouch is a must have storage pouch system. Main Inside Pocket for larger items like Sunglasses, Door Remotes, Personal Items, etc. The cellphone pocket measures 7” x 4” and will accommodate cellphones, MP3 or other devices and loads from inside the sleeve keeping rain out and devices dry. The Clear UV stabilized surface allows easy screen reading and will hold up in the toughest environments. 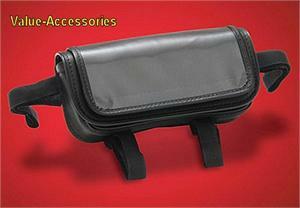 With 4 adjustable hook & loop straps this handlebar pouch easily attaches to most non – fairing motorcycles.